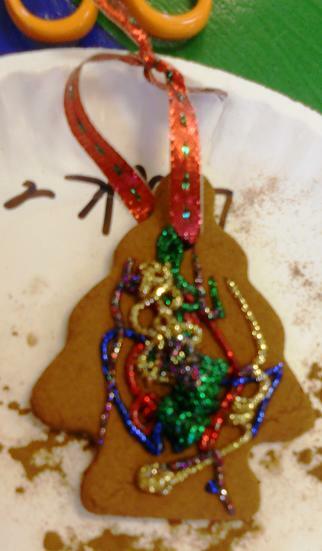 The Pre-K class made the ornaments for our class Christmas tree. These are my favorite ornaments. 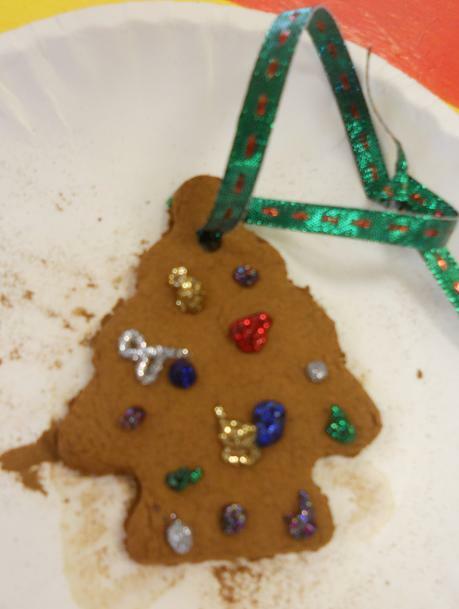 We made cinnamon ornaments. 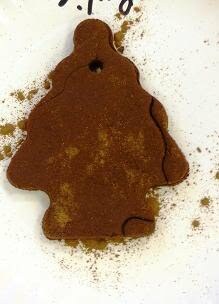 Here is the post with the original recipe: Homemade Cinnamon Ornaments. We made the recipe and cut he shapes out on one day. Then the next day we added a ribbon for hanging and then I had given them some glitter glue to decorate them. When they dry we will hang them on the tree. They look so cute and I bet they smell great! Hope you are enjoying the season with your students and family. I love these ornaments! I remember making them when I was in elementary school and now I do them with my class every year! I love them with the glitter, I'll try that next year.